This personalized valet tray gives you the ideal place to store all of your accessories when away from home. 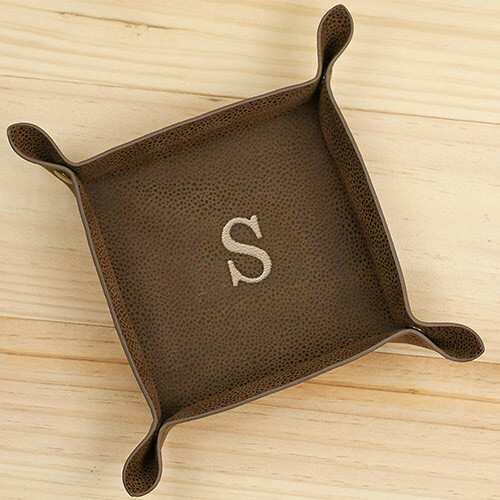 Valet Tray may be embroidered with any single initial. Great as personalized Father' Day gifts and accessories for Dad. Take on a trip or use at home to store objects such as coins, watches, wallets,phones & more.